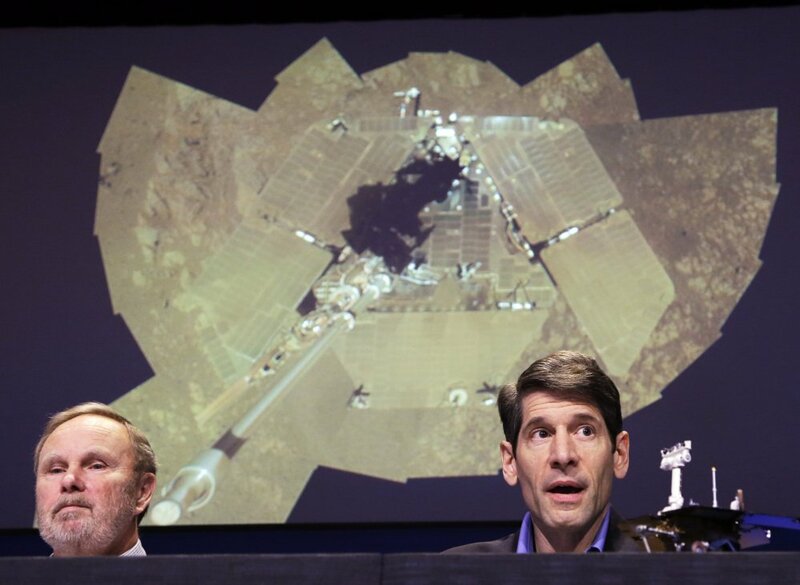 LOS ANGELES — A decade after landing on Mars, the rover Opportunity is still chugging along. “No one ever expected this – that after 10 years a Mars exploration rover would continue to operate and operate productively,” project manager John Callas said Thursday. NASA has scrutinized Earth’s planetary neighbor for decades, starting with quick flybys and later with orbiters, landers and rovers. Opportunity touched down on Jan. 24, 2004 – several weeks after its twin Spirit. 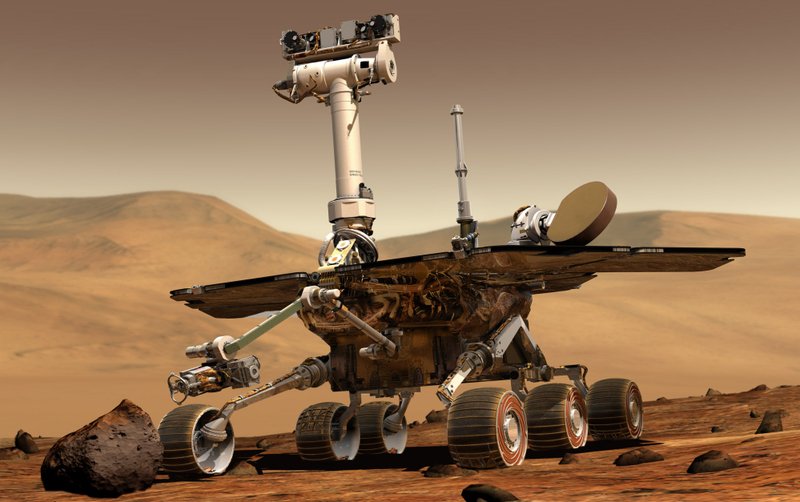 Both rovers outlasted their warranty by years, but Spirit stopped phoning home in 2010 after getting stuck in sand. Meanwhile, Opportunity has logged 24 miles of crater-hopping. The solar-powered NASA rover is now in a sunny spot on the rim of Endeavour Crater where it’s spending its sixth winter poking into rocks and dirt. Its power levels have unexpectedly improved. A recent “selfie” showed dust on its solar panels was later wiped away by blowing winds. More recently, Opportunity uncovered geologic evidence of water at Endeavour Crater that’s more suited for drinking – a boon for scientists searching for extraterrestrial places where primitive life could have thrived. The crater is the largest of five craters examined by Opportunity. A new study published by the journal Science Friday – on Opportunity’s 10th anniversary – determined the rocks from the crater are the oldest yet – about 4 billion years old. The rocks interacted with water during a time when environmental conditions were favorable for microscopic organisms. “This is really a neat area,” said deputy project scientist Ray Arvidson of Washington University in St. Louis. In 2012, Opportunity was joined on Mars by Curiosity, which is currently rolling across bumpy terrain toward a mountain. With snazzy tools like a laser, Curiosity quickly became the world’s favorite rover. Opportunity snatched some of the attention back earlier this month when it discovered a rock shaped like a jelly doughnut that suddenly appeared in its field of view, probably after its wheel kicked it up. Scientists said it’s unlike any rock they’ve seen on Mars before. “From all the missions that we have, they’re very productive and it would be a shame not to have enough to afford the continuation of those missions,” said Michael Meyer of NASA headquarters.